BON DANCE THE NIGHT AWAY! Ono food, andagi, retail, activities for the children, and, of course, BON DANCE THE NIGHT AWAY! Everyone is invited! 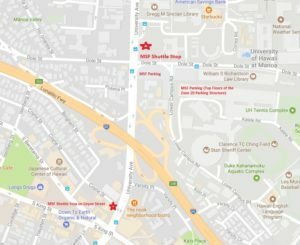 Parking and shuttle available from UH Manoa (FREE). 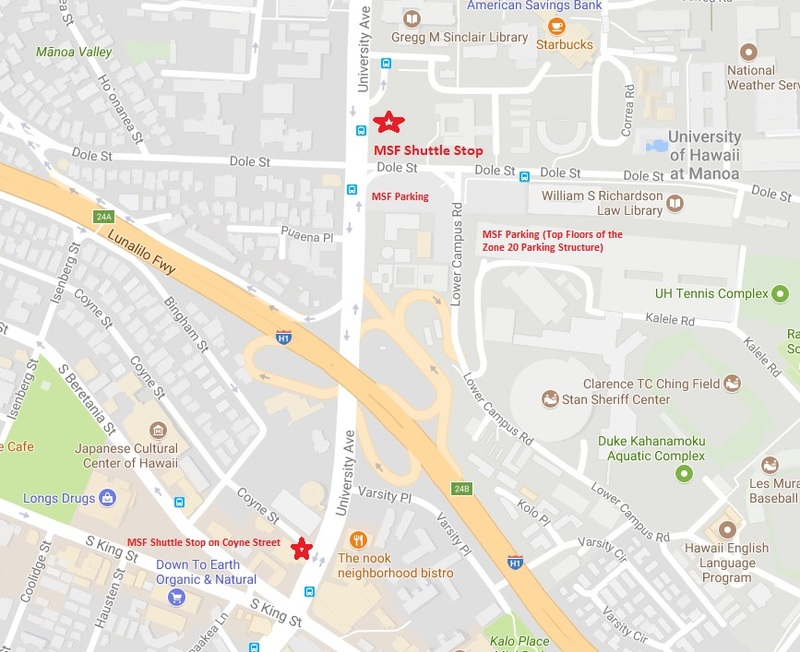 Parking Instruction for the Zone 20 Parking Structure: All cars must enter through the Dole Street entrance. Please inform the gate attendants that you will be attending the Moiliili Summer Fest. Drivers will receive a parking ticket to display on their cars upon entry. Parking is complimentary. Shuttles will be provided; however, it is also a short 10 minute walk to the festival. The last shuttle from the festival will depart at 10:25pm. The Moiliili Summer Fest is an annual summer event that brings together the community in one of Honolulu’s oldest and most vivacious neighborhoods. The event is a collaboration between the Moiliili Hongwanji Mission, Kamehameha Schools, Japanese Cultural Center of Hawaii, Moiliili Community Center and the University of Hawaii. 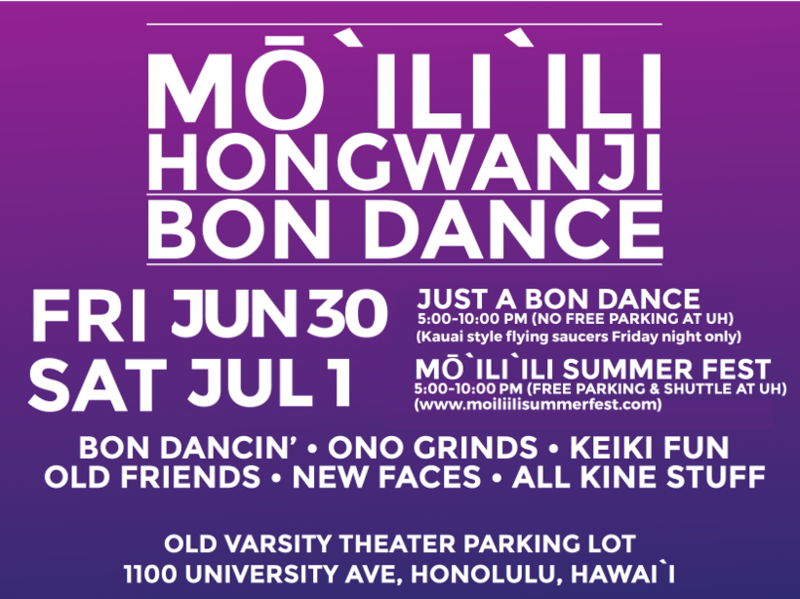 Join us with family and friends for Honolulu’s largest Bon Dance. Savor a variety of food choices and shop at booths by local retailers. Fun activities for the keiki will be available until 9pm with live entertainment throughout the evening.